Maintain The Appearance & Weather-Resilience Of Your Soft Top. Fabric convertible roofs require cleaning and treating in order to prevent the growth of mildew, the build up of dirt, fading from UV and decreasing weather-proofness! Convertible Roof Protection Treatment ensures your soft top is thoroughly cleaned and dried before being protected from industrial and environmental fallout using the latest in cutting edge fabric protection technology. 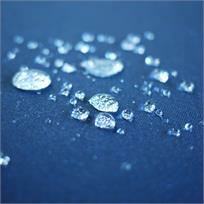 Fabric fibres are encased in a protective water and dirt repellent coating forcing contaminants to run off the material. Soft top cleaned thoroughly using a bespoke cleaning solution and Wheel Woolies Natural Horse Hair Convertible Brush, removing dirt, mildew build up & staining. Hood thoroughly rinsed of all suds, then dried with application of directed heat source to ensure all water content completely removed. Two layers of nanotechnology-based fabric sealant applied to the hood for protection lasting for up to three years!